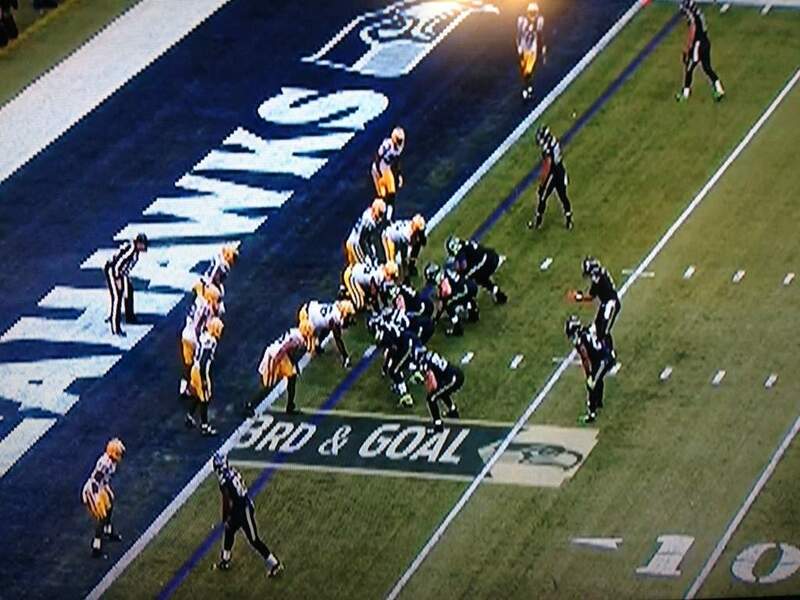 Super Bowl 49: About Putting on the Armor—of God? Money and fame shadow in comparison to what Jesus has to offer these athletes. When I see the Super Bowl on Sunday and watch the football players run onto the field, I’ll remember what these strong and faithful all-stars unabashedly declared about putting on the armor of God and suit up for whatever God has chosen me to do! I agree with Winston Churchill, “There is something good about the outside of a horse that is good for the inside of man.” But it wasn’t until I met The Lapeer County Mounted Posse Division, I learned how valuable horses can be in today’s society, especially in life and death circumstances. Before I could take my first step, horses became a major part of my life. My father would plop me on his horse, tell me to grab hold of his horse’s mane, and off we would go down lanes and fields, the wind rippling like ocean waves upon my face. It was just the natural thing for me to do when I became a resident in Horse Country and joined the Metamora Hunt Club where my family and I enjoyed years of horseback riding recreation. Parades, and foxhunting were just a few of the activities we enjoyed as a family together. My love for horses has inspired my newspaper writing and my books. The Lapeer Area has a chapter devoted to the formation of Metamora Hunt Club in Lapeer County. My next book, Eastern Lapeer County, has a section devoted to The Lapeer Posse formed in 1957. Gertie Brooks from Almont, wife of the late Irvin (Red) Brooks, represented the longest surviving member of the original nine members formed under Sheriff Bill Porter. Brooks is also widely known as the area’s ‘Country Cousin’ columnist for the Tri-City Times. If not for Brooks careful documentation of pictures and events, these precious photos recorded in Eastern Lapeer County could have been lost. It might be hard for you to imagine a posse out of the frontier days would continue to be a part of today’s society. The word “posse” inspires fond memories of the Old West when the sheriff and a half-dozen men rode out to bring the bad guys in. Lapeer County is hardly the Old West, but that hasn’t dampened the dedication of its very own Lapeer Posse, now over twenty-five members strong. 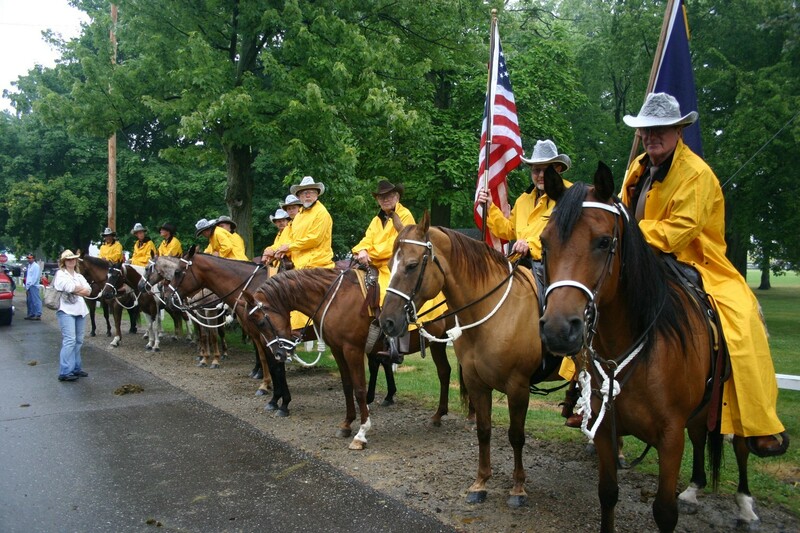 In 2007 I did an article for the Tri-City Times about The Lapeer County Mounted Posse Division’s 50th year. The celebration was held at the home of Al and Virginia Janiszewski in Metamora. 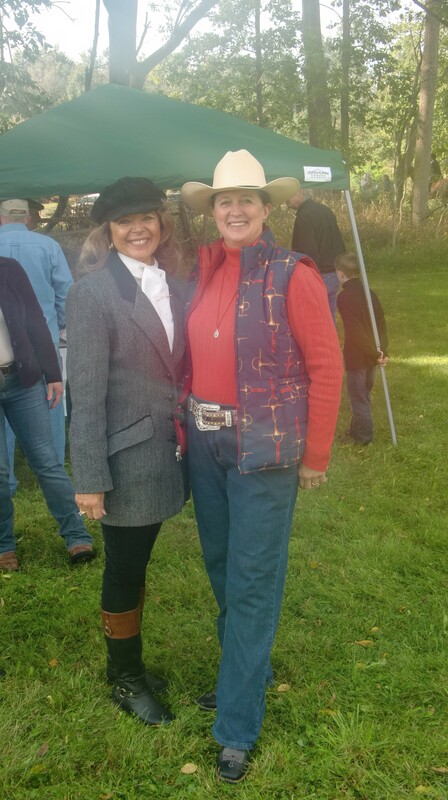 Retired and active members along with widows and wives were present to reminisce about old times and enjoy the camaraderie of horse lovers who have weathered decades together. No longer affiliated with the Lapeer Sheriff Department, the Lapeer Posse is available to any law enforcement agency in the country. They continue to be a volunteer group that services the community without compensation, providing vital support as a law enforcement body. They disperse and control rowdy crowds, assist in search and rescue, help locate lost people, and perform a variety of community functions. Al Janiszewski has been in the posse for over 25 years, and explains about their search and rescue technique and why the horse’s instincts become a vital tool between life and death circumstances. “The horse can sense when something is not what it should be,” Janiszewski says, recalling a simulated airplane crash where police and posse compete for the best time. “We had the advantage over the police. The pilots weren’t saying a word; the horse was the one that found them,” he says. Dr. Jules Reinhardt recalled a search and rescue incident that happened at Verners Game Area. Both the police and the posse were combing the woods for a missing person. “They (the horses) let you know when something is strange or not natural,” Reinhardt says, adding that a posse member found the body and immediately notified the police. In this age of cyberspace, racing cars, and jet airplanes, horses continue to be a vital part of our lives, giving back to today’s society their magnetic horse power that can quiet a crowd and cause a child clap their hands in glee. If you would like to read the complete article, see www.CatherineUlrichBrakefield.com located in my newspaper archives. I would love to hear about your favorite horse experiences. Let us not forget the art of the written form . 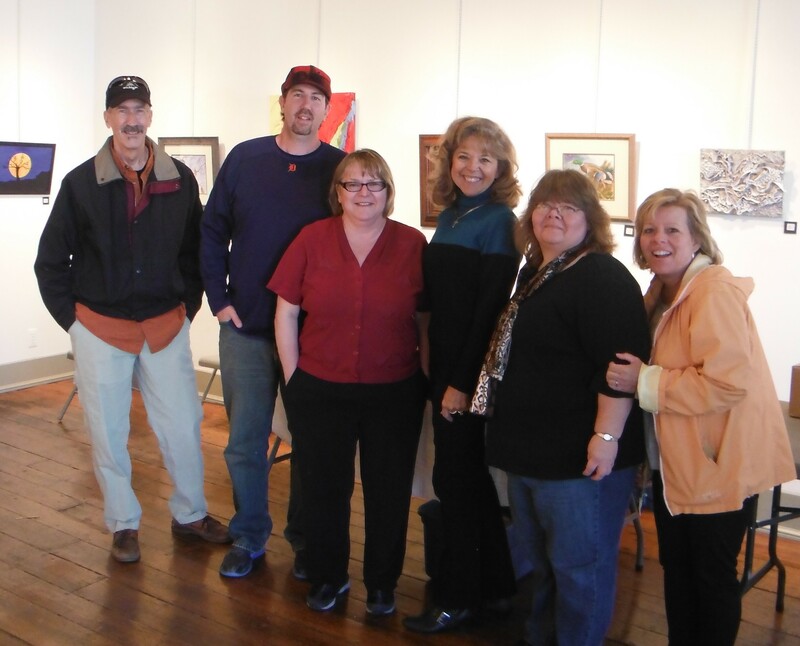 . .
Pictures paint a thousand words; however, Starkweather Arts Center located in Romeo, MI., hosted a book signing for the art of the written form, which is only found between the pages of a good book. It was a memorable and fun-filled author signing moment for everyone. While meeting residents, I enjoyed the beautiful artwork of these talented artists decorating the walls and shelves of this 1865 historical establishment that hosts monthly art shows, concerts, and events. From left to right are Christopher Hudson, (author of Headwind and Northern Cross), Jason Winchester, (author of The Other Side of the Rainbow), Starkweather Board of Trustee, Secretary Grace Venet, Catherine Brakefield, (author of The Lapeer Area, Eastern Lapeer Area and The Wind of Destiny), Janice Fouchey, (author of A Wilted Blossom Blooms and Changing Colors), Debi Martone (author of Let Me Tell you What Happened). Not in photo; William Creed and Bernadette LaCross. See www.starkweatherarts.com for information on events. Best part of Author Fairs is meeting fellow Authors! Kathy Fannon, Head of Graubner Library’s Adult Services, Washington, Michigan, made the authors feel welcomed and appreciated. Zack Howell from WBRW interviewed the authors during the local fair. A host of venues were available for the Christmas shoppers. Books ranged for local history to romance, spine thrilling adventures to children books. 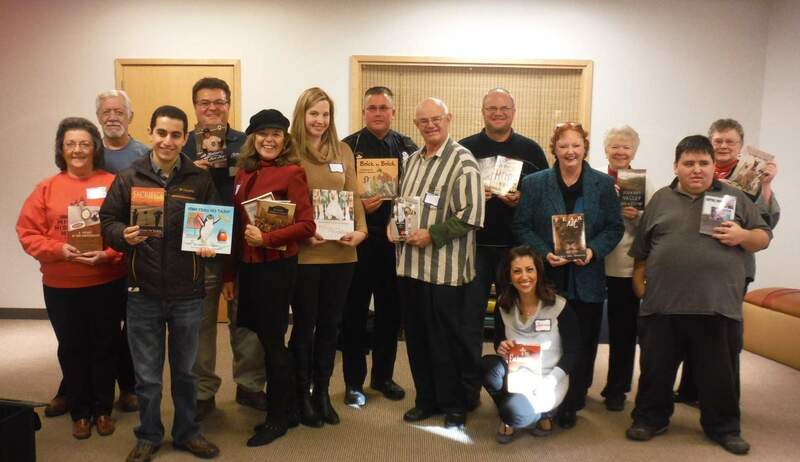 Commonality for their communities and the love of the written word encouraged new friendships to emerge with between us. That, I think, is the best part of participating in these author fairs! Front row Left to Right: Charlie Kadado, (Author of Sacrifice); Catherine Ulrich Brakefield (Author of The Wind of Destiny, Lapeer Area, and Eastern Lapeer); Emma Arendoski, (Author of The Handcrafted Wedding); Stoney Burke, (Author of Weapon: Mouth Adventures in the Free Speech Zone); kneeling down is Adriane Parrinello, (Author of The Fathers’ Sins’), April Spring, (Author of Fear Not); and James Salsido, (Author of Escape). .